A measles alert was issued by NSW Health advising two reported cases of measles was detected in mid-December in NSW. Secondary cases are expected to follow. 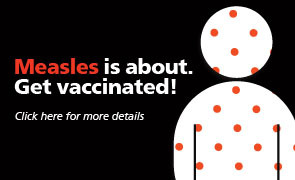 For the measles advice from NSW Health CLICK HERE.